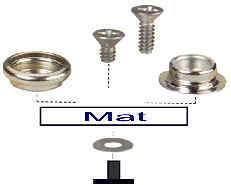 ElectraStat Anti-Fatigue matting is THE most economical anti static / anti-fatigue floor matting material on the market. It features permanent easy to clean low static generation properties that maintain their consistency throughout the entire thickness of the matting. ElectraStat 175's unique textured surface help protect employees from slips (even if wet) while it's superb cushioning provides years of increased employee comfort AND productivity! Note: ElectraStat Type 175 is a humidity dependent product (it gets its electrical conductivity from the ambient humidity in the environment). ElectraStat Type 175 is NOT recommended for sophisticated mission critical esd control areas as a primary method of personal grounding. ElectraStat Type 175 is an excellent choice for packaging items that are in an ESD protected status. 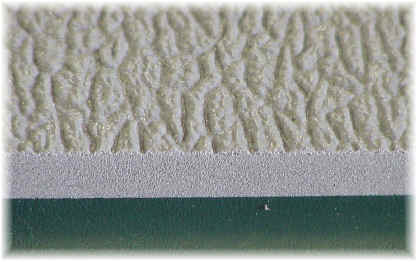 Non-slip surface, very low electrical conductivity. Beveling on two sides only except 60' rolls. The most economical anti-static fatigue mat available. Pre Cut Pricing: Note - We have many more precut sizes available on our cart. Delivered Pricing! Continental USA and Canada! * Need another length not shown? Simply call us for pricing and to place your order. Beveled hooded floor mat ground cord includes the universal snap kit shown below. Fully compliant to the latest standards and installs with just a screwdriver. On sale! Now just $5.20 each!